Here's a super easy upcycling project you can do with old thrifted wall decor and spray paints (the color/s you want for the frames and Krylon Looking Glass). 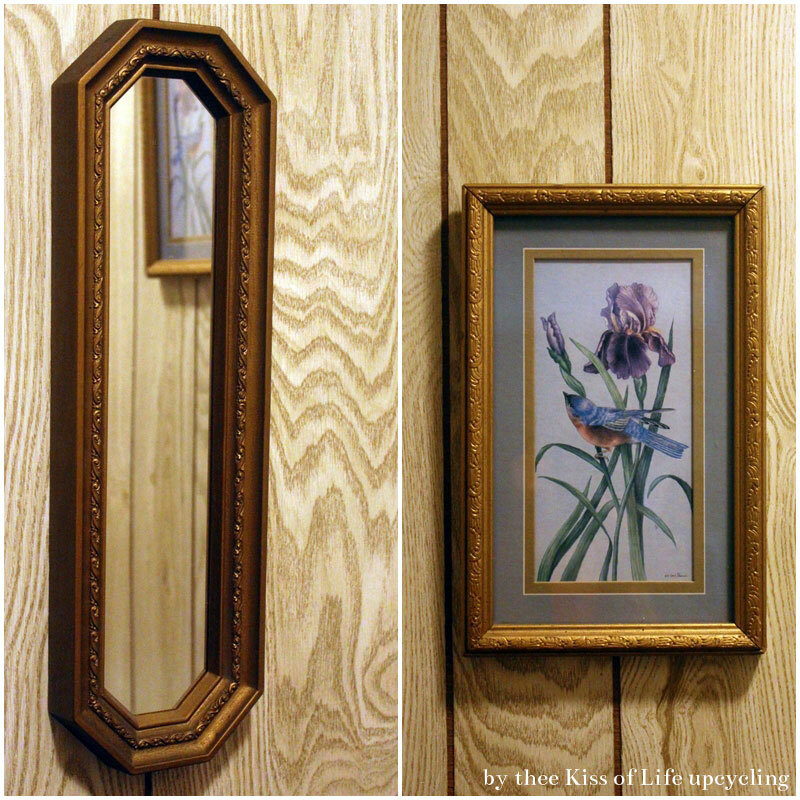 The before: A set of matching framed wall art and mirror. The artwork looks dated with the gold colored frames but the detail on the frames is cute and a mirror is always useful no matter the age. The after: A matching pair of mirrors. I chose a gloss black for the frames because it matches the bathroom decor (please ignore the dated wall paneling, it's up next for a makeover). Now, yes one mirror is stronger than the other (the original mirror of course) but the mirror I created myself is truly not that bad. 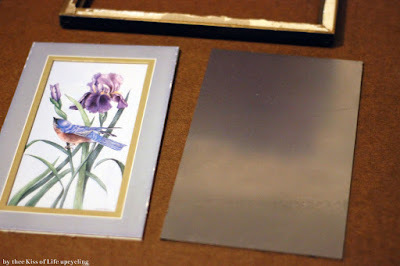 All you have to do is simply spray paint one side of the frame's glass. See the backside is dull. While the other side is the shiny mirror that you'll see through the glass. 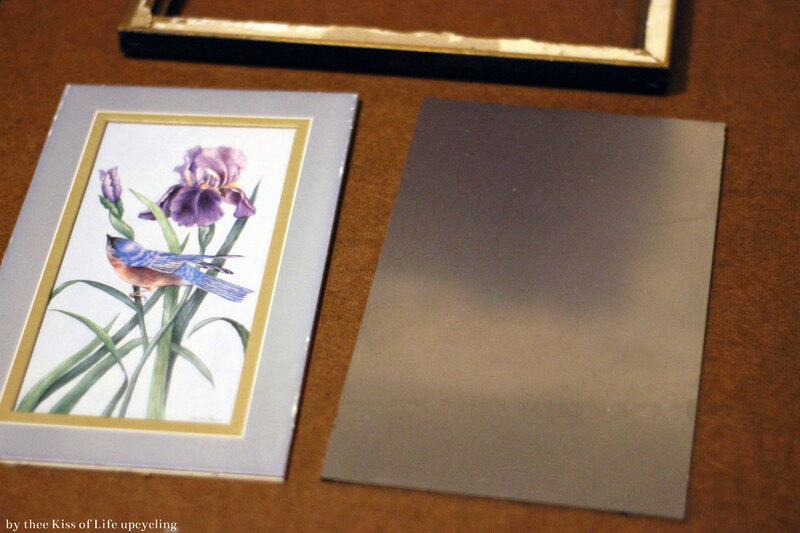 Leave the original matted artwork though, for the frame's back support (you won't see it anymore anyway).